Stretching out over 7,000 individual islands, the sprawling archipelago of the Philippines is one of South-East Asia’s most dynamic economies. Over the course of the past decade, the island nation has enjoyed impressive growth, bolstered by rapid industrialisation and modernisation. Transitioning from an agriculture-based economy to one driven by services and manufacturing, the Philippines has established itself as a leading member of South Asia’s flourishing group of tiger cub economies. Last year, a boom in exports saw the Philippine economy grow by 6.8 percent, overtaking its Asian neighbours Singapore and Malaysia. The World Bank now expects the nation to experience a similar level of growth over the coming year, making the island nation one of the world’s fastest-expanding economies. As of 2017, the Philippines ranks as the 10th-fastest growing economy in the world, with falling unemployment and low inflation levels helping to further spur growth. While poverty and inequality remain a challenge for the nation, approximately 1.8 million Filipinos have been lifted out of poverty over the past three years, thanks in part to improved incomes and higher employment. As an increasing number of Filipinos find stable and long-term employment, the nation is also experiencing a rapid expansion of financial inclusion. With wages steadily improving and poverty rates falling, many previously unbanked Filipinos are now considering how to better manage their personal finances and are beginning to access formal banking services across the nation. However, while the demand for banking services is growing rapidly among the Philippine population, the nation’s life insurance market has remained modest. Compared to its ASEAN neighbours, the Philippines has a very low level of insurance penetration, with just two percent of its population covered by active policies. And yet, this trend may soon be set to change, as new channels are now opening to bring insurance to the masses. World Finance spoke with Surendra Menon, CEO at BPI-Philam, about the country’s surge in bancassurance, which is fast becoming one of the most promising financial services in the Philippines. Currently, just two million Filipinos are insured, out of a population of 102 million citizens. This low level of insurance penetration may soon be a thing of the past, however, thanks to the many socioeconomic shifts currently occurring in the island nation. As the country enjoys continued economic growth, a thriving middle class is now emerging and this new demographic is particularly interested in protecting and building its newfound wealth. In addition to this budding middle class at home, Filipinos working overseas are also moving up the socioeconomic ladder and enjoying a greater level of personal wealth. Indeed, Filipinos working abroad send back approximately $31bn a year in remittances – equivalent to more than 10 percent of the nation’s GDP. As the economy prospers and Filipinos enjoy more money in their pockets, the demand for insurance services is expected to grow significantly, as workers look to ensure continued financial security for their families. What’s more, the remarkable growth of the Philippines’ business process outsourcing market also presents a lucrative opportunity to expand insurance coverage. “Just 15 years ago, the industry was virtually non-existent in the Philippines, but today it represents around nine percent of the nation’s GDP,” Menon told World Finance. Along with these profound economic shifts, the nation is also experiencing a radical demographic transformation. The population of the Philippines has been growing steadily for many years, with the nation now ranking as the 12th most-populated country on earth. While many other countries around the world are facing the challenges of an ageing population, the Philippines is a remarkably young nation. The country has one of the youngest populations in the South-East Asian region, with a median age of just 23 years. As such, from now until at least 2050, the Philippines will be able to take advantage of this demographic window, as the clear majority of its population will be of working age. As the nation’s Millennials begin to enter the workforce and wield their economic power, the Philippines is in prime position to reap the demographic dividend. Furthermore, despite preconceptions that younger generations aren’t interested in buying insurance policies, many insurance companies believe that Millennials present a unique opportunity to expand policy coverage. With demand for insurance products steadily growing among the Philippine population, insurance firms across the nation are now looking to make insurance accessible for all. “Although the country has succeeded in expanding financial inclusion, many Filipinos remain unaware of the numerous insurance options available to them and lack a basic understanding of how to set up a policy that works for them,” Menon explained. In order to bridge the gap between banking and insurance, many of the nation’s top insurance companies are now investing heavily in bancassurance. Having existed in the Philippine financial landscape for more than a decade, bancassurance allows banks and insurance companies to form a partnership, so the insurance firm can effectively sell its products to the bank’s client base. By collaborating with established and trusted banks, insurance firms are able to essentially get their foot in the door and demonstrate that insurance policies can be both financially affordable and easy to understand. Using the bank’s network of branches, bancassurance sales executives can discuss policy options with potential customers, dispelling any preconceived ideas that insurance packages are non-essential products. One such strategic alliance is the BPI-Philam Life Assurance Corp, which has emerged as the leading bancassurance company in the Philippines. Thanks to BPI’s expansive network of more than 800 branches and 1,500 ATMs, the bancassurance partnership is able to reach a wide array of Filipinos, sharing their expert knowledge of insurance packages and addressing individual customers’ financial protection needs. With bancassurance poised to be the next big trend in the Philippine financial market, the nation’s top players need to stay one step ahead of the competition. A wave of new competitors is now flooding the field, with each company attempting to appeal to an audience of increasingly financially literate banking customers. In order to stand out from the crowd, bancassurance companies must innovate and modernise their services. As bancassurance continues to gain traction in the Philippines and beyond, BPI-Philam hopes to build on its recent technological successes, and remains dedicated to improving the quality of its products and services through innovation and digitalisation. 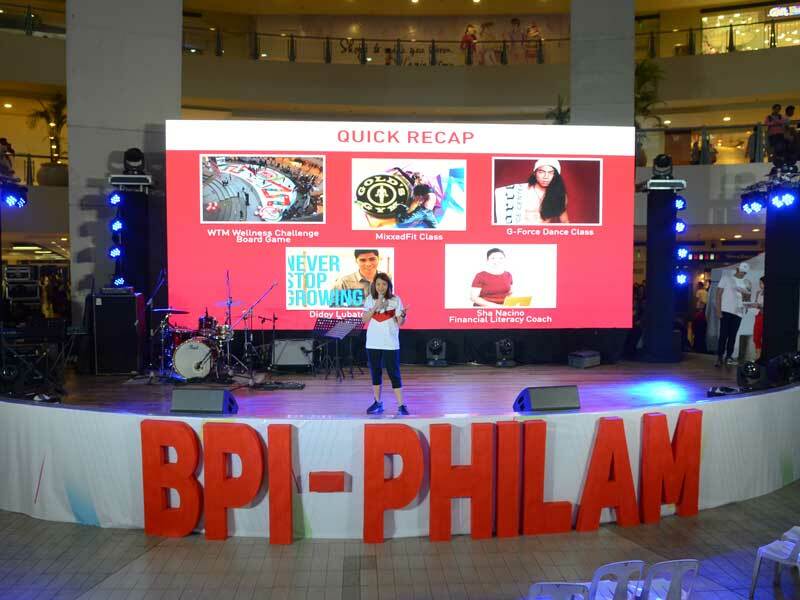 By using new technologies to communicate more efficiently with the nation’s swelling youth population, BPI-Philam is fulfilling its founding aim of making insurance accessible for all. Bancassurance is making insurance available to the masses, and BPI-Philam is empowering citizens more and more with each policy.